I may have mentioned it before, but my mother is a huge fan of all things brunch. Every single time she comes for a visit The Brit plans to take her to a new restaurant to try out their particular version of brunch. 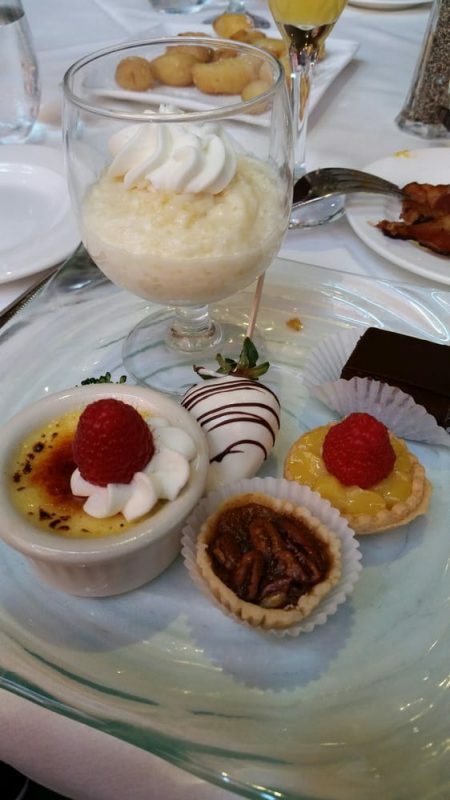 In this episode of “Brunch Tales” we went to Scott’s Seafood in beautiful Walnut Creek to enjoy their New Orleans style jazz brunch. I love the atmosphere of this restaurant. 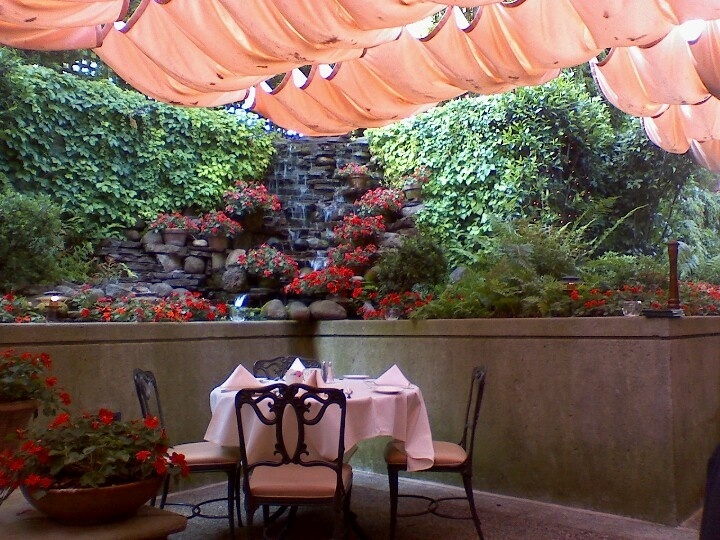 We always try to sit out on the patio area so that we can enjoy their very unique and delightful waterfall as we eat. Not only is it beautiful, but sitting out there is far more peaceful than sitting inside the restaurant with the jazz playing and all the people. This way, the jazz is at the perfect level, plus it feels like we have been transported to some tropical paradise. There are many things I love about this brunch, aside from the atmosphere. The sparkling wine they serve is really decent and drinkable. I haven’t been able to catch the name of whatever it is, but with or without orange juice in it, it is very tasty. I would describe it as dry with soft yeast in the flavor notes of apples and vanilla and a good amount of bubbles. 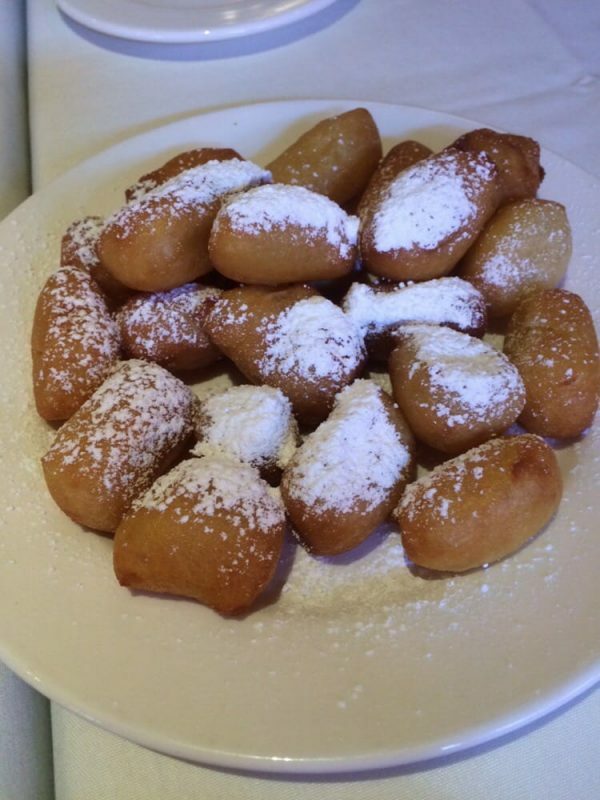 Along with a glass of champagne or mimosa, Scott’s starts you out with fresh, hot, beignets. Light little fried dough pillows topped generously with soft powdered sugar. Mmm. 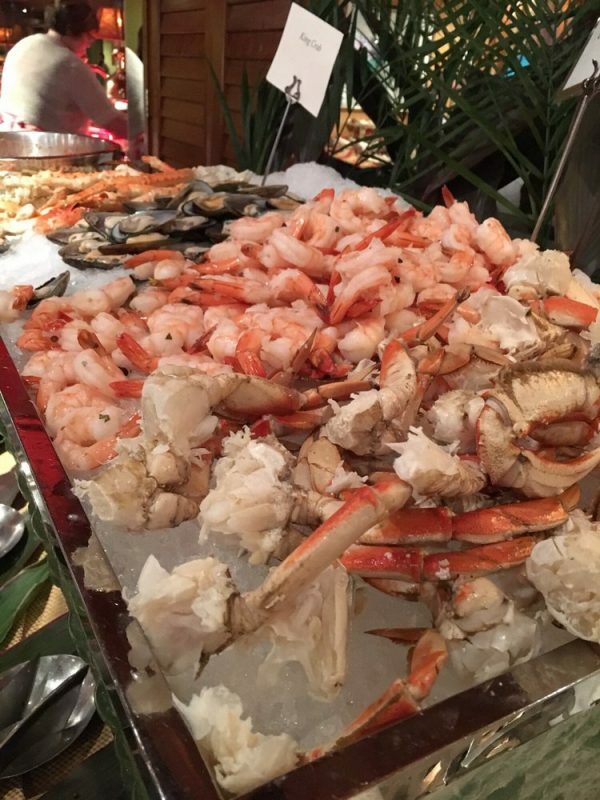 Being a seafood restaurant, the seafood station at the brunch is really outstanding. 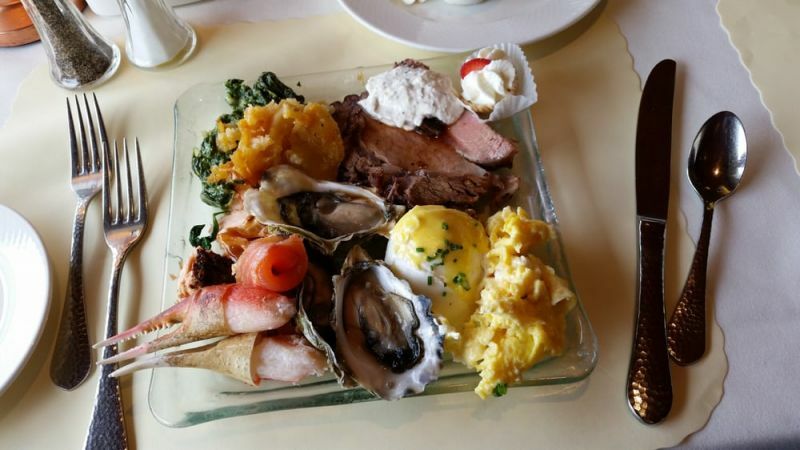 There are always piles of shrimp, crab legs, hard-cooked cold salmon, and smoked salmon. They are all fresh with lovely presentation. One of their house specialties is their Cajun seafood Benedict. It is so darn good. I love the spicy kick to the Hollandaise sauce. Even served in a buffet, my eggs have always been cooked beautifully and are fresh and hot. Pretty impressive. I also love their choices of mini-menu items, so you can try to taste it all, rather than get a heaping helping of one or two things. 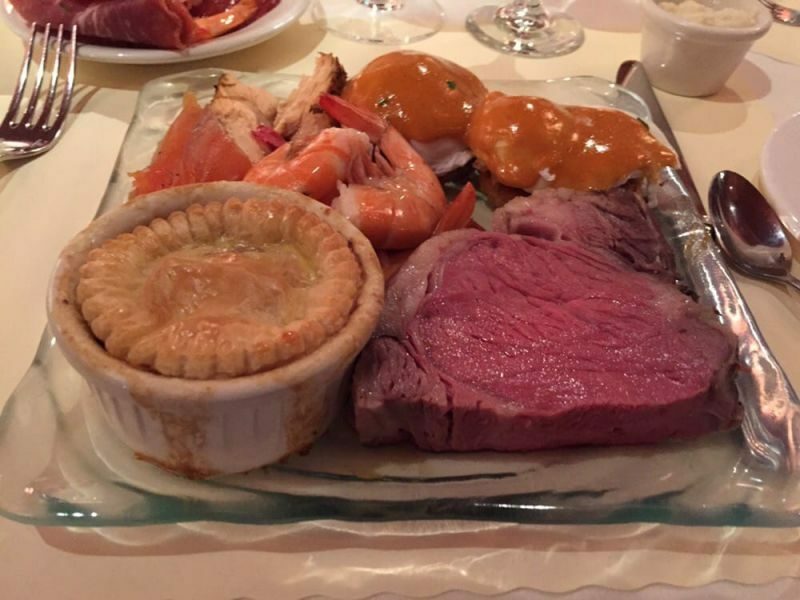 For example they serve in mini-ramekins items like salmon Florentine and seafood en croute; along with carvery meat stations, fresh and chilled seafood selections, salads, breads, pastries, and desserts. I never know what to eat its all so good. For the main course, the salmon Florentine is a ramekin dish filled with large chunks of perfectly cooked salmon, spinach, a white wine sauce, and has a mashed potato on top. The seafood en croute is really a pie with pieces of seafood in a creamy sauce topped with puff pastry; it is one of my favorite items there. I always enjoy their carvery selections. The times I have been there, my prime rib has always been served perfectly medium rare and my turkey has always been juicy and moist. The service at their brunch is always outstanding. The waiters can never do enough to accommodate your every need. 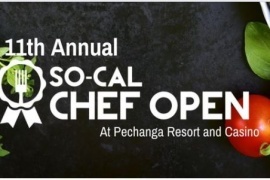 If you have food allergies, they will have the chef prepare something just for you that works. I have never had to ask for a refill of my drink. They are always friendly and on top of it. 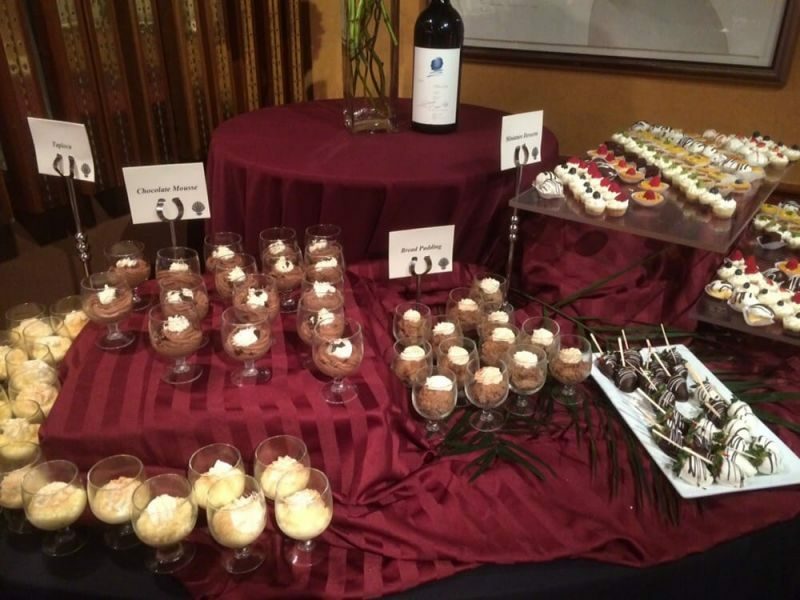 But of course the best part of the meal is the huge selection of mini desserts. Because they are in miniature size, I don’t feel so guilty having several. Eight or ten dessert bites has to equal one regular size cake slice right? (Don’t judge) One of the favorites there is their simply dipped chocolate strawberries; perfect with champagne and oh so decadent. 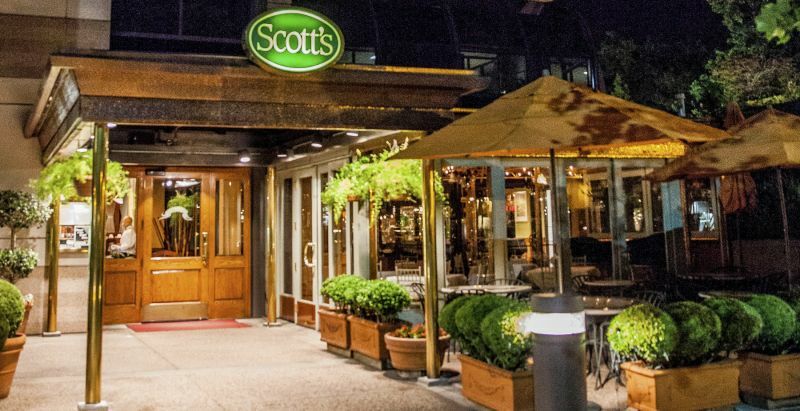 Scott’s Seafood in Walnut Creek gets really busy and full (especially around the holidays) so reservations are highly recommended. I have seen people have baby showers and other little mini-events like birthdays, while enjoying brunch there. It has that “special feeling” about it. 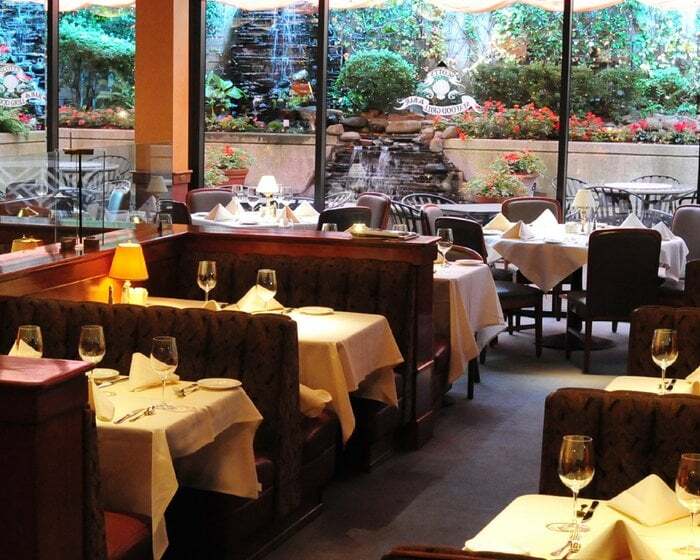 We would highly recommend you have brunch at Scott’s Seafood in Walnut Creek. They have other locations, but locally they also have a beautiful restaurant in Oakland right on the waterfront of Jack London Square. From that restaurant you get amazing water views. Enjoy and bon appetite!